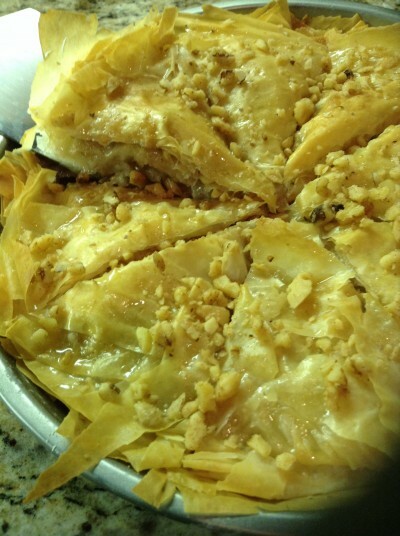 After a meal at a Mediterranean restaurant, I love to enjoy a sweet piece of baklava. It’s one of my favorite desserts. It’s light, sweet and crispy. This recipe is easy to follow. Few items are needed for this dessert, making it all the better. 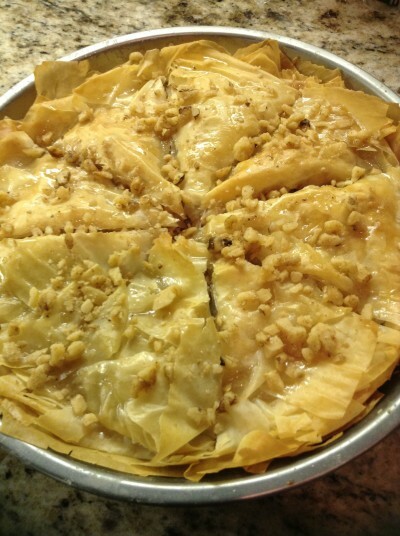 I’ve noticed that some restaurants’ baklava tends to be on the too-sweet side because they add pure honey to the pastries. For this recipe I use a simple syrup with honey, and it’s the right amount of sweet. 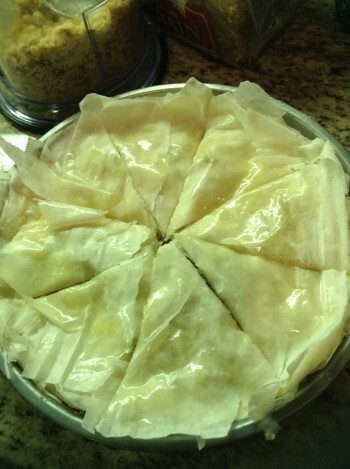 The phyllo dough needs to be thawed before you begin. 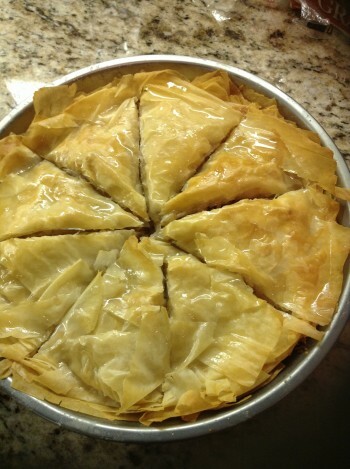 I have had experiences where the phyllo dough was still frozen and it just crumbles when being handled. 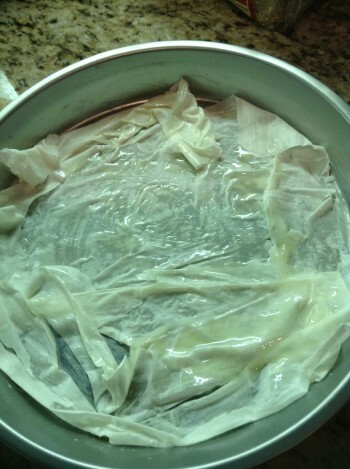 I would give it a good 45 minutes on the counter to thaw. The box of dough comes with two packs. I only used one for this recipe. 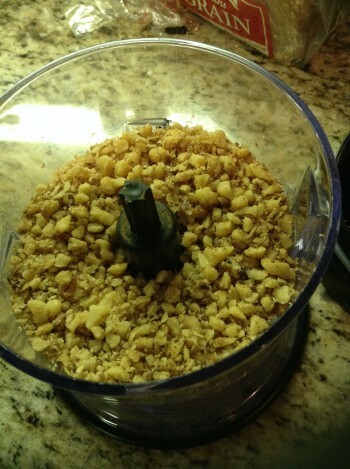 In a food processor add the walnuts and 2 teaspoons of cinnamon. Give the walnuts a rough chop. 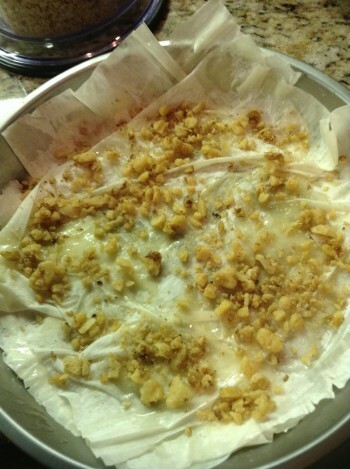 Set aside 2 tblspns of chopped walnuts for garnish. Open the pack of dough, and unroll it. 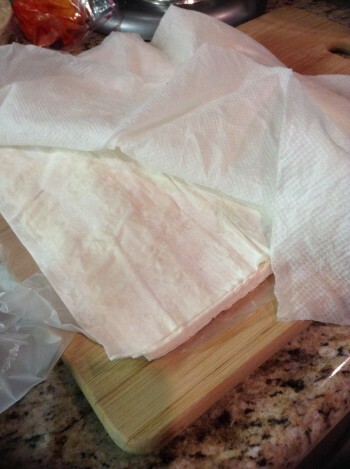 Place a damp cloth over the dough so it doesn’t dry out. 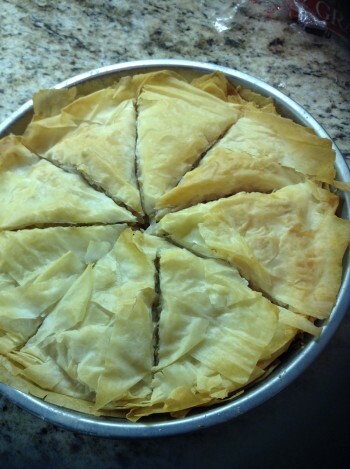 With a brush, butter the bottom of the pan, then layer one sheet of phyllo dough, add butter to the top of the phyllo. Don’t drench the pastry with butter, just a light brush over the dough. 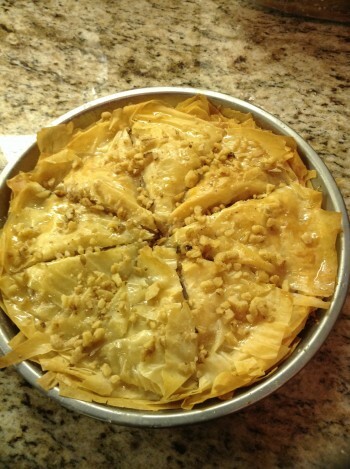 Repeat this process four times, phyllo, butter, phyllo, butter, so it will be four sheets of dough, then nuts, another four sheets of dough, then nuts. Repeat these steps until you reach the top of the pan. After it’s cut, bake for 25 minutes. Five minutes before the pastries are done baking, start the simple syrup. 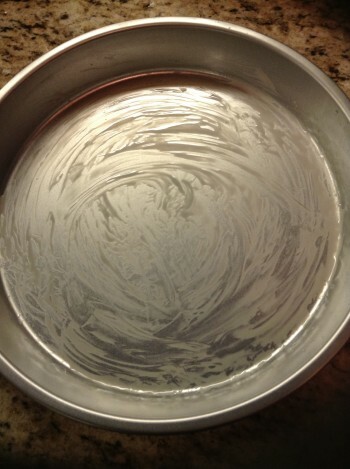 In a small pan add 1/2 a cup of sugar, 1/2 a cup of water. 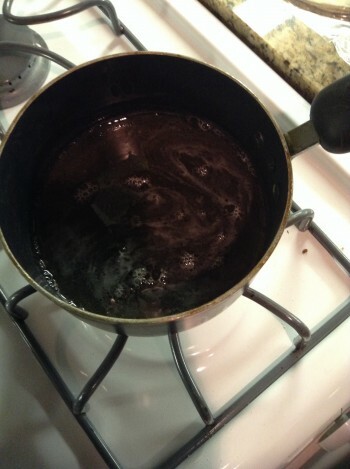 Boil until the sugar is fully dissolved. Add 2 tblspns of honey to the simple syrup, and boil for another minute. Ladle the syrup while it’s still hot over the baked baklava.